I took the boy into the Italian Centre this afternoon to get some of what have become our house staples. How did we ever survive without having this as a semi-regular stop? We were leaving the freezer section where entirely too much time had been spent deciding exactly what kind of gelato was needed when I turned around and Jacob was gone. A quick glance around and I saw him leading a father and his daughter towards the cheese section. I fell in behind them and listened to him telling them about his favourite kinds of cheese (there’s a reason we call him cheese boy). He described in great detail the tastes of several different options and managed to convince them to try his current fave – Oka . They thanked him for his suggestions, grabbed a thing of Oka and Jacob left them to the rest of their shopping. As we were heading for the till he told me that he’d heard them standing by the deli section trying to decide what kind of cheese they wanted to try for supper. He said I knew I could help them because I’ve been training for this moment my whole life. He’s totally right – he has. The kid takes his cheese seriously. Watching him be so excited about sharing his knowledge about a food he loves so dearly was my happiness moment. 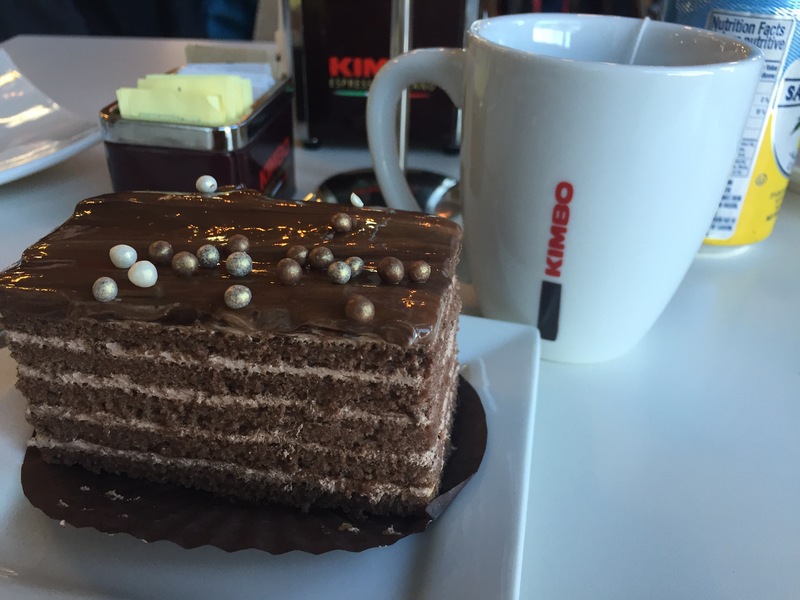 eating this cake was also a happiness moment…. so good.